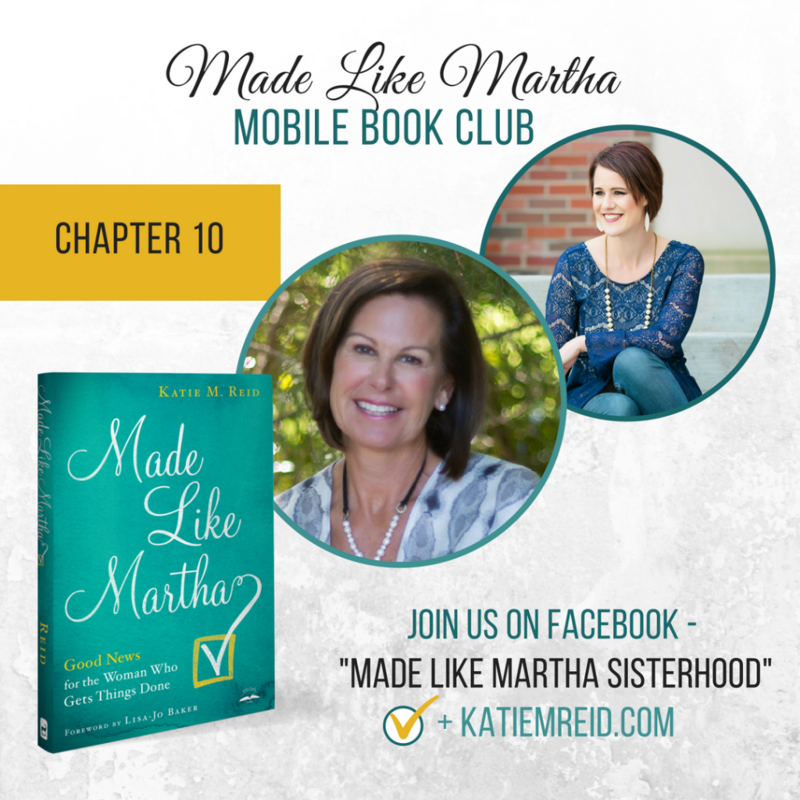 Welcome to Week #10 of the Made Like Martha mobile book club! It’s hard to believe this is our final week of the book club! What a fun time it’s been connecting with you, as we dig into this message of grace and freedom. 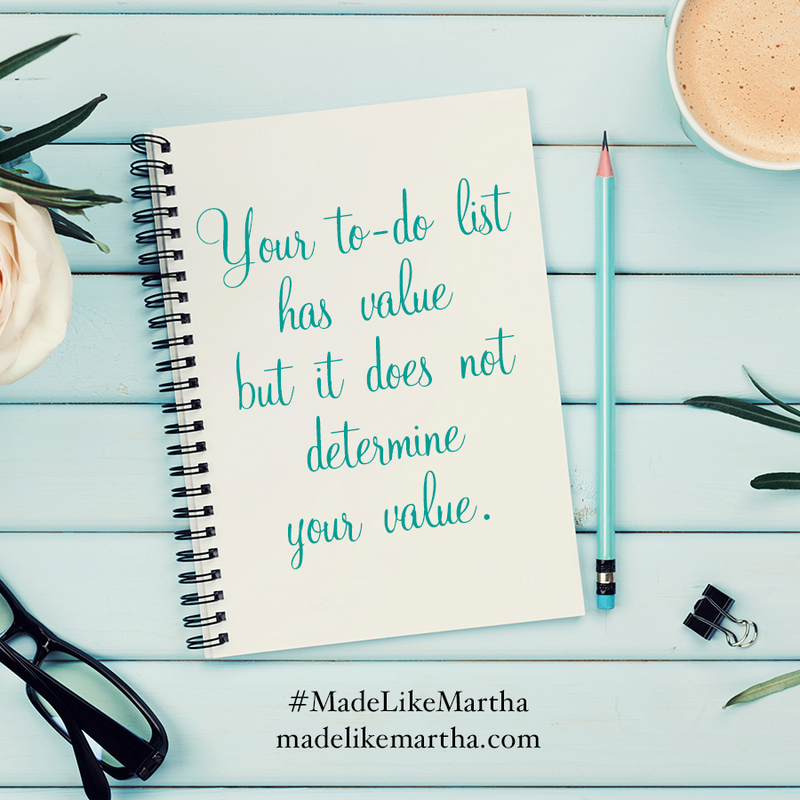 Even though our book club is ending soon, we’ll continue to interact, over in the Made Like Martha Sisterhood (Facebook Group), so be sure to join it, if you haven’t yet. Today’s host will be joining me, around 8:00pm EST, in our Facebook Group, for a live chat about Chapter 10, on Wednesday, September 26th. Our host, for this last week of the book club, is Christy Mobley. Christy is classy, hospitable, and wise, She is also a wife, mom to two grown boys, a grandma to a cutie pie, and a writer and speaker. 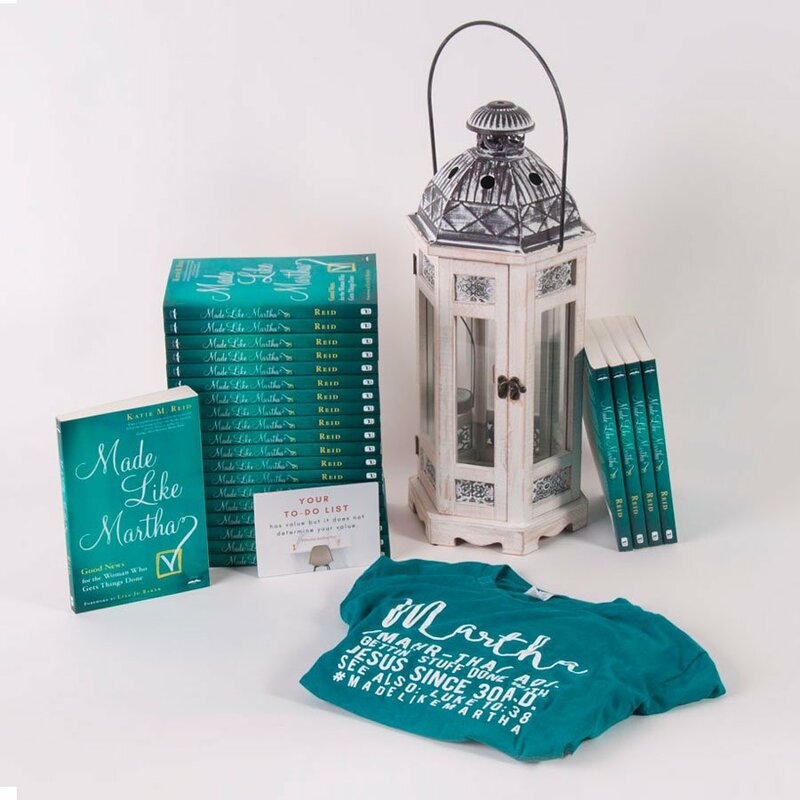 It’s quite fitting that Christy is hosting this week since she had the last word in Made Like Martha (see page 165-166). The first time I laid eyes on my friend Katie Reid was on a March afternoon, about three years ago, when she and her warm smile graced my doorstep. She came with a few others I also invited for a spring weekend writers’ retreat. Most of us had actually never met face to face — we knew each other only through cyberspace and the phone app, Voxer. I had no inkling at the time that this weekend would be the beginning of an answer to a prayer. One I was yet to pray. Over the weekend, this mastermind group of creatives gathered around my dining room table to hash out ideas and dreams of books that each person wanted to write. Katie’s concept was one that immediately resonated with me. Martha of the Bible is a doer. God created her for a purpose. Ooh, I like that, I thought. I am that person, but embrace her? I’ve always felt a little guilty about being a Martha. I mean she was the one to get a scolding from Jesus! However, later I would dissect the weight I was carrying around my neck as more than just a few words about a reprimand. For years I’ve masqueraded as a person who is free by the blood Christ, shed on the cross. Not that I’m not. Technically, and biblically, I am. I just have never felt like it. And, furthermore, sad to say, I thought this was normal. Like a person who has only slept on a hard floor and never in a comfortable bed, I didn’t know the difference between the harsh reality I was living and the safe soft place of grace—God’s downy soft grace. I talked about the freedom of Christ while all I really felt was trapped and guilty for who I was. The person who was always responsible but couldn’t own up to all the responsibility. I’ve listened to a million sermons on grace. I’ve read it for myself in God’s Word yet I still woke up day after day feeling as if God must be mad at me for something. What didn’t I do that I should have done or what did I do that I shouldn’t have? Because after all, I’m the responsible one. 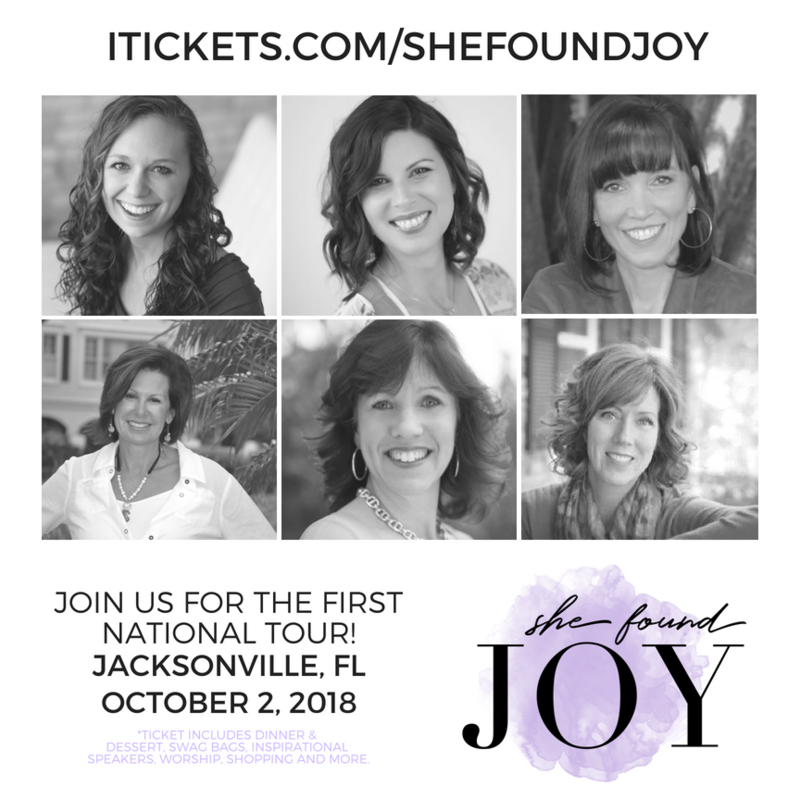 Christy and I will be speaking at various locations on the She Found Joy National Tour. 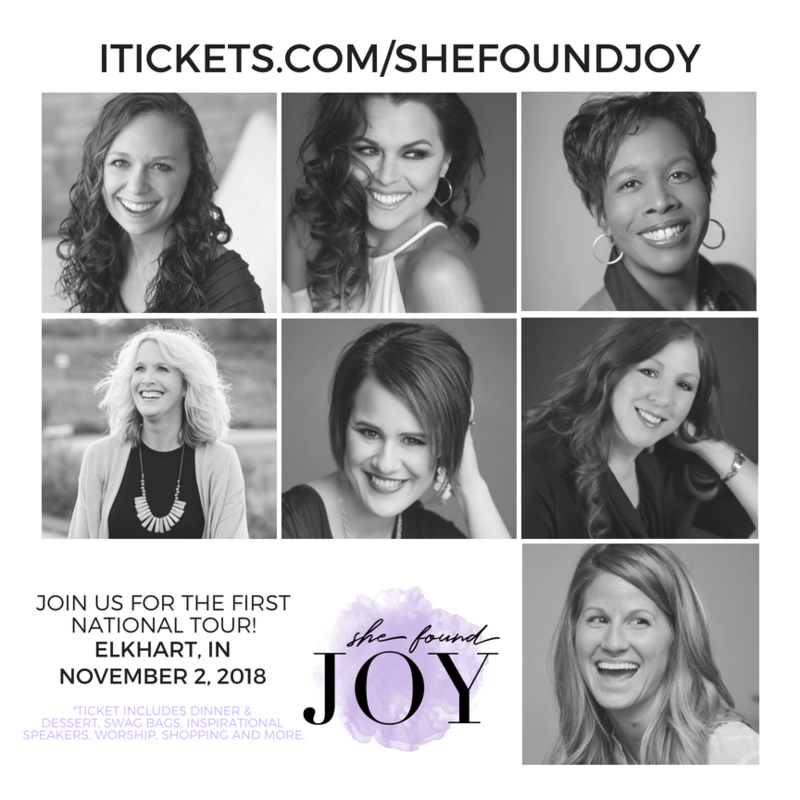 The tour will be making eight stop around the country, so invite your gal pals and join us for a night of fun, food, friendship, shopping, worship, and inspiring messages to uplift you.